I love teaching my children at home. It’s a gift and one that I hope to steward well. But I have to admit, I don’t always love it in the moment. My boys are four and a half and almost two years old. The oldest is doing kindergarten work and the youngest thinks he is. This means that I have to be really intentional with our time. By the way, I’ll be sharing more about our decision to start kindergarten as well as our curriculum choices soon. We started “light” school in July and officially started August 3rd. The single best thing I have learned over the last month is ROUTINE, ROUTINE, ROUTINE! Routines work really well when teaching little children who are on different levels. The first couple of weeks were really hard for us. My oldest was reluctant to “do school” and little brother was a toddler tornado trying to grab markers, scissors, and glue all at once. It was chaos to say the least! I spent many mornings locked in my husband’s office begging him to just “fix it all.” The joys of working from home, right? Poor guy! But we stuck to our routine and now I can say that the days are still hard, but we’re moving along nicely and there is much more peace in our days. The thing with homeschool is that it’s really hard to tell where your regular day begins and where your homeschool day begins. 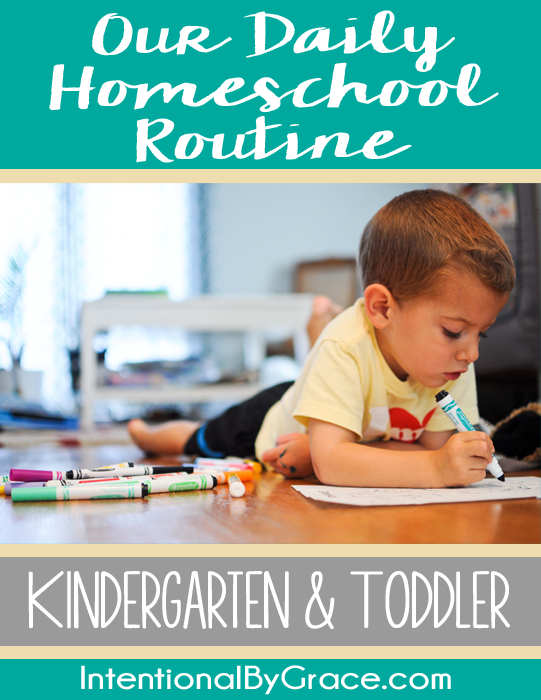 So I’m just going to share our new family routine with our homeschool routine built in. The boys get up anywhere from 6:15 to 8:00 in the morning. Update: We’ve added an extra step into our morning routines and we love it! It’s how my kids stopped driving me crazy in the mornings. It really depends on how well they are sleeping, if they slept in their own beds or sneaked into ours, etc. They aren’t always predictable, but we’re praying for more rhythm as we stick to our routine and life continues to normalize for them. It’s not like we didn’t move them across the country, move them in with grandparents, and then out again into our own home. They are still adjusting! Plus little brother just moved into a big boy bed and is determined to potty train. Enough said. Mom and Dad get up anywhere from 6:00 to 8:00 in the morning. Our goal is to get up before the children and have our time in the Word and prepare for the day. But again, it depends on how the night went and in this season, we’re willing to give ourselves a lot of grace! Regardless of when we rise, we start our day in the Word. We start our morning with Bible time for Mommy and video time for the boys. 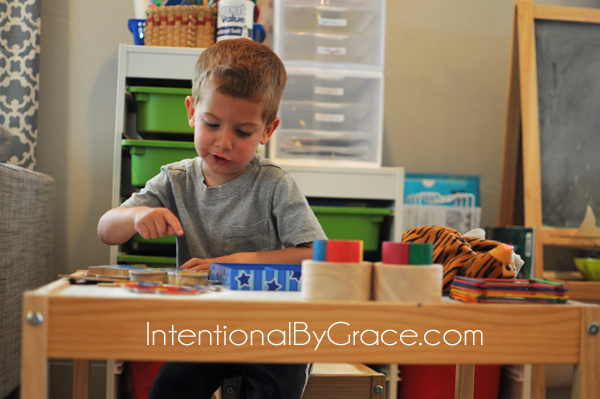 You can read about my favorite quiet time resources for children here. We’re currently working through the What’s in the Bible series right now, and it is going really, really well. This gives us all time to wake up and be in the Word before diving head first into the day. Sometimes my littlest will just read his Bible beside me which is okay too. We eat breakfast as a family and do family devotions. After breakfast we start our morning routine. We start with Bible time. I usually do a Bible story and activity. This usually takes about 5-15 minutes depending on what we’re learning at the time. Then, we pull out our calendar notebook and work our way through it. Now that we have a system worked out, I plan on sharing about it soon. Right now we’re working through learning numbers 0-9 and all our shapes. My oldest knows these, but I use this time to expand and reinforce what he knows while allowing the work to introduce my youngest to these math concepts for the first time. I have found math easy to tailor to each of their needs while teaching it at the same time. Plus little guy is just so very proud of himself! By 10:00 am we’re done with our morning school time and we grab a snack. While the boys eat their snack, I clean up the school room and put everything back to “start.” Then, we all head outside for play time. I usually work in my garden or do outside cleaning. I use this time to let the boys work alongside me if they want, but mostly I encourage them to go play wild and free! If it is a particularly hot day, we’ll use this time to go visit grandparents or go to the library. But mostly we spend it outside playing. 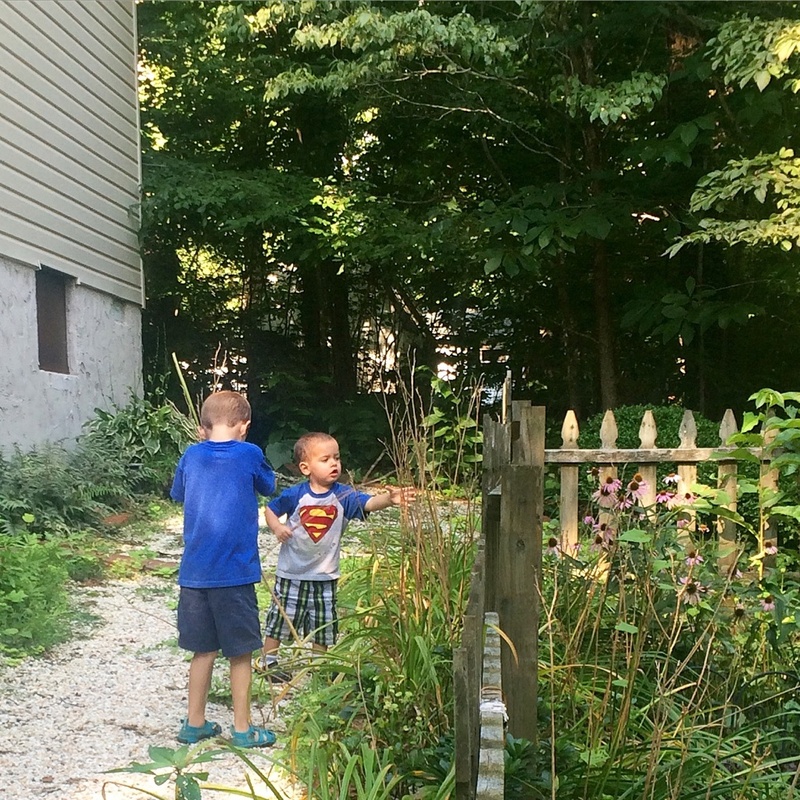 It has made a world of difference in our days to get the boys outside as often as we can. Even if my oldest does complain the entire time. He’s in a stage… it’s worth it and I know it’s important to persevere through the tough spots because nature is a lost part of our children’s education. I usually let the boys come inside if they want while I prepare lunch and switch the laundry. While the boys eat lunch, a few days a week we do “specials.” I’m sure there’s a better name for it, but that’s what I came up with and it stuck. 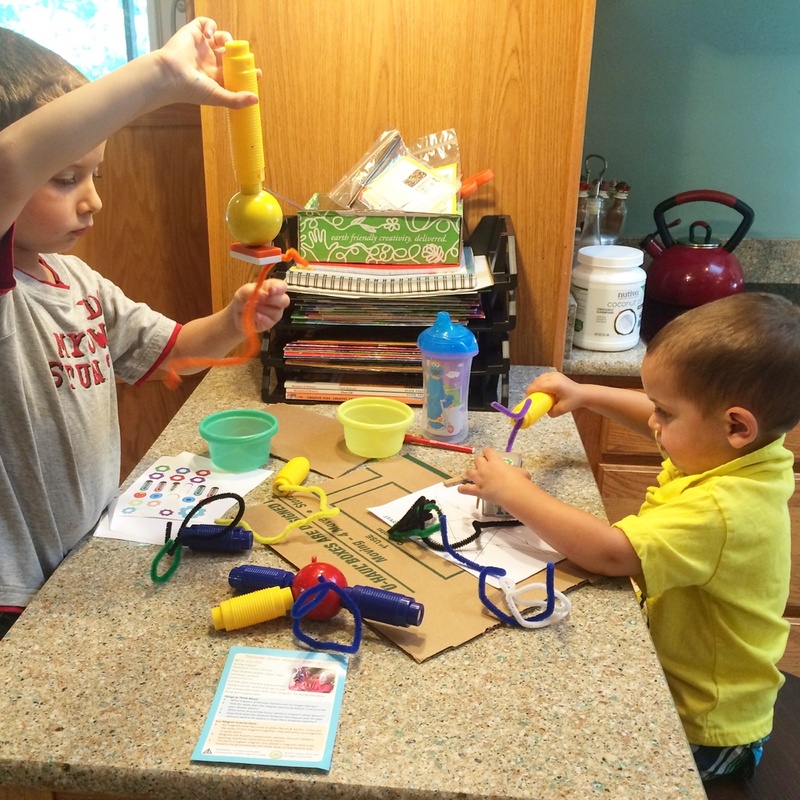 After lunch, the boys are free to play however they want while I clean up and do some house work. I put the youngest down for a nap around 1:00pm. Then, my oldest and I go to the school room for some reading lessons. I have found that reading is a personal thing, and it really needs focused, undistracted time to teach. So we save these lessons for when little brother is taking his afternoon nap. 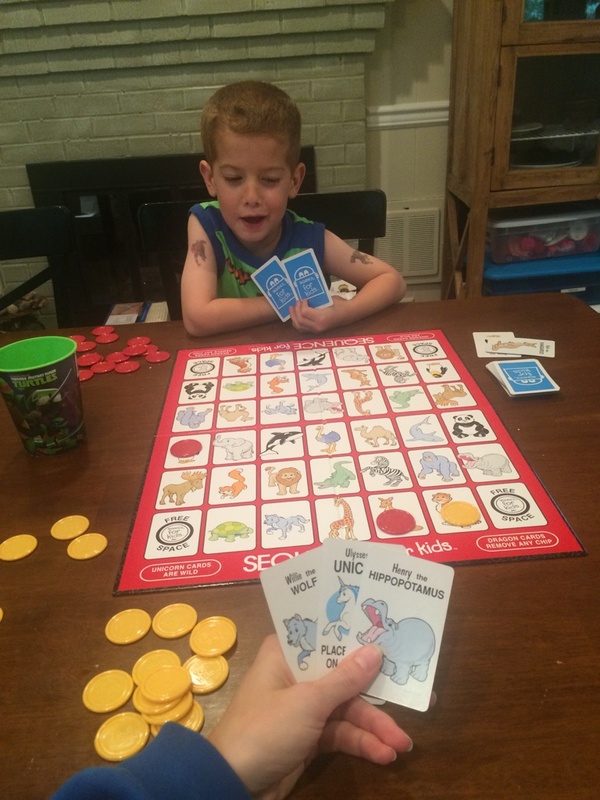 I try to vary the lessons from day-to-day because my oldest does get a little tired in the afternoons from time-to-time. Our lessons usually last 10-30 minutes depending on the day and what we need to work on. If there is time left over, we’ll play a fun game, work a puzzle, or pull out a toddler tray (even though he’s not a toddler, the name stuck). After reading lessons, it’s quiet time for everyone. I get an hour of quiet and solitude (mostly), and Sam can rest, read books, work puzzles, or some other quiet activity. I have a quiet box for him on the days he needs some help choosing an activity, but most days he stays in the play room and finds something to do independently. Once little brother gets up, it’s time for another round of snacks and some read alouds. During this time, the boys are free to do whatever they want. Sometimes they play on the screened in porch, sometimes they help me cook, sometimes they fight and squabble, and sometimes I help them put together a Green Kid Crafts activity if my dinner prep allows the margin. We eat dinner as a family almost every night. Mondays are the only nights that Daddy is gone and it’s just the boys and me. 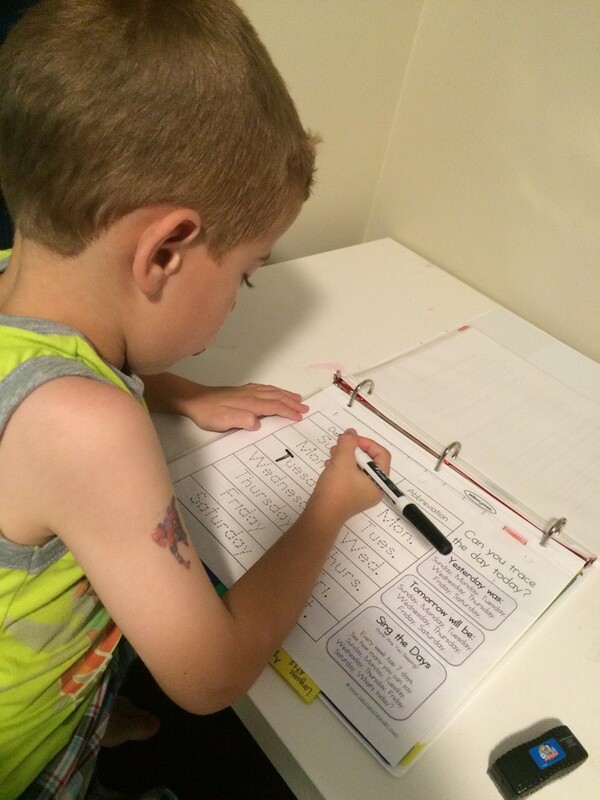 That’s our daily homeschool routine that seems to be working really well for us right now! Of course, no day works perfectly, and I have built in a lot of margin in our schedule. We don’t always do everything on our list for lessons for the week, and sometimes cleaning projects take over and eat into our outside time. Life happens, but this is the schedule we try to keep! What about you? Do you have a daily routine? 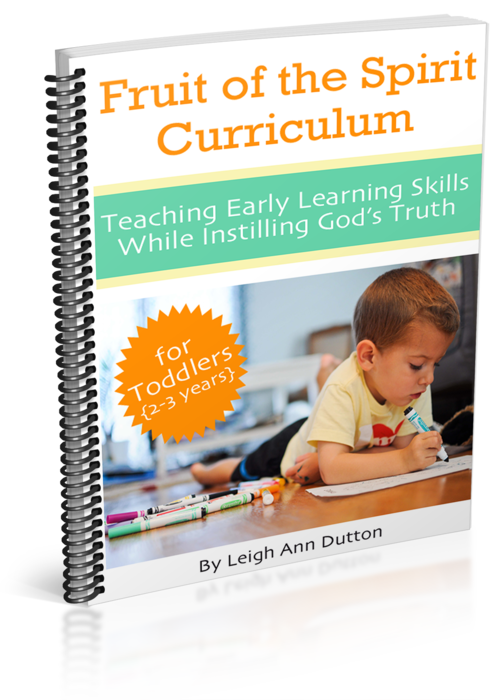 The Fruit of the Spirit Curriculum for Toddlers is designed to help you teach early learning skills to your child while instilling God’s truth. 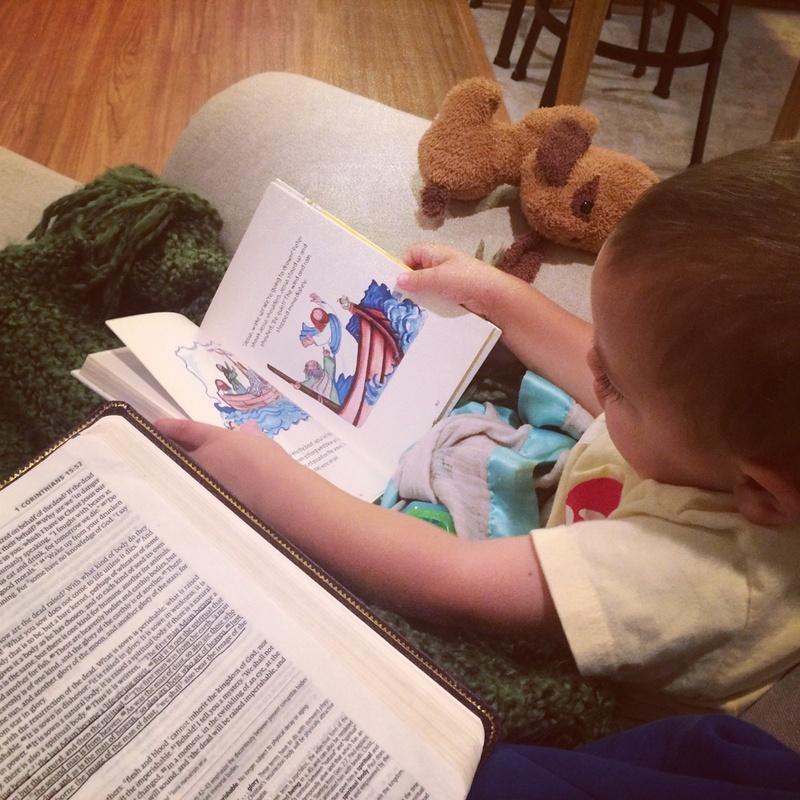 One week at a time (for 18 weeks), I will guide you through sharing the Gospel with your child through various Bible stories and learning opportunities. Click here to learn more. In our public school the majority of the day focuses on language arts and basic math concepts. Then they have a rotating schedule one on each day of the week, of art, music, technology, pe, science and math. These are called “specials”! I’m with you! I struggle with this too and I’m still finding my groove. I try not to plan too much into my day to begin with. For instance, I won’t schedule to do the budget and clean the bathrooms and go grocery shopping. I try to think realistically about what needs done, and then make a plan based on how much time I have. But otherwise, my best answer? I fit it into the cracks of the day, working in chunks if I need to and doing the best I can. If I can’t get it done in the morning, I will set a timer and knock it out right after they are in bed, or I will ask the hubby to give me some undistracted time on a Saturday morning or Sunday afternoon to allow me to catch up on whatever I need to do. Oh and if it’s housework, I have my kids help me. They can either play or do house work. Usually they choose to entertain themselves quietly 😉 I will need to think on this more. Perhaps it’s a blog post idea! It’s hard to flesh out my thoughts in a comment, but maybe these thoughts will at least help! All our situations are so different! Hi there! Thank you so much for time. 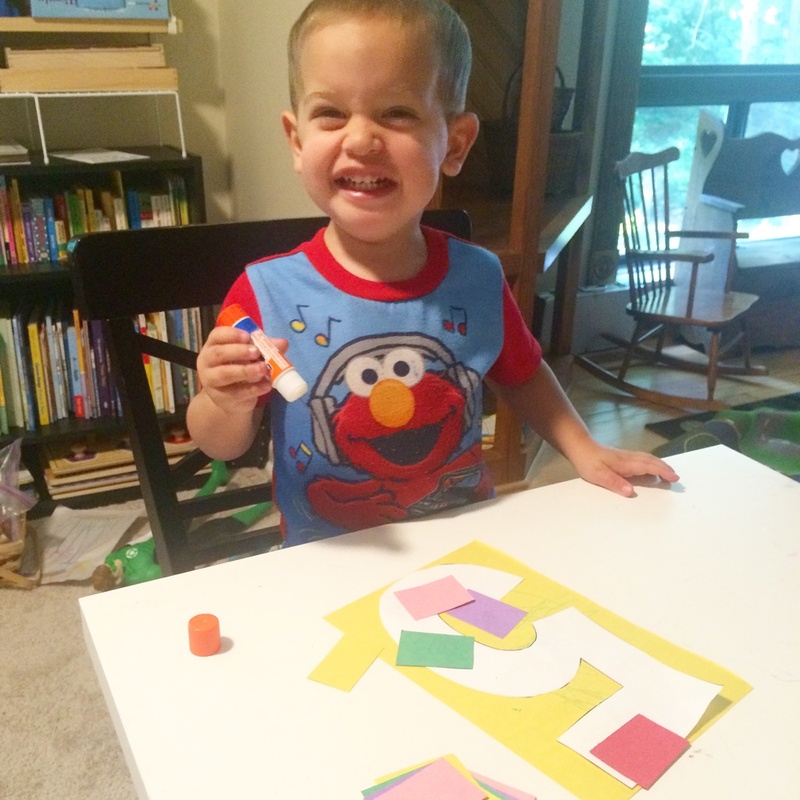 I want to see if you could direct me towards finding a calendar sheet that your son was working on. Thanks again. My son is 18 months old and I’m really wanting to start doing some type of learning during the day. 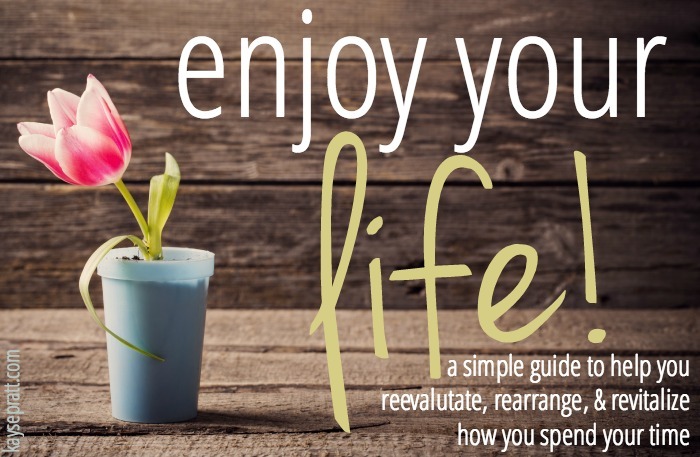 This is a very helpful article and shows how to structure a day! What is calendar time exactly? I’ve never heard of that. Thanks! Calendar Time is also known as “morning time.” For us, it’s time that’s routine every single day. We go over the important stuff like the date, the seasons, letters, numbers, etc. I think it looks different for everyone. Do a search on Pinterest or Google for “calendar time” “morning time” and “circle time.” It’s all essentially the same thing. 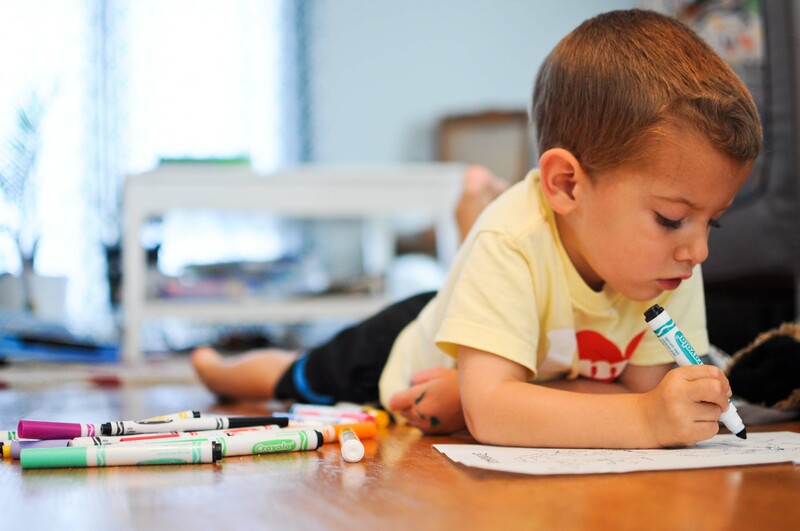 It’s a morning routine for younger grades and preschool that seems to really help. Thanks! I’ll definitely be doing some research. 🙂 Thanks so much! I feel like this is the answer I’ve been searching for. I just want to say thank you for giving your time to share this! Great! Simple too! I am putting a new task in my bullet journal – start planning a daily routine- I think we pretty loosely follow one normally anyway, but I know a few things are getting “lost” in the day- to-day frazzle. Thanks for sharing yours! This is simply amazing!! I just became a stay at home mom and I’m pregnant with number three. Although it will be hard to implement everything on your list throughout the school year as my oldest attends public school, it is great for summer and school breaks. I will definitely be using some of your ideas in this schedule as I do have a toddler. It’s almost back to school here is sunny Florida and I can’t wait to start a new routine. Thank you for sharing!!! Thank you for this! Gearing up for homeschool in the fall with kindergarten, pre-K3 and a (will be) 6 month old (currently 3 wk old) and I’m worried about schedule. This was super helpful! Thank you! I’m not homeschooling, but as Spring Break begins I realize that I need to have a plan for summer break. I will be home with a 5 yo soon to be Kindergartener and I don’t want everyday spent in front of a screen and I want to make sure we don’t experience any “summer slide”. 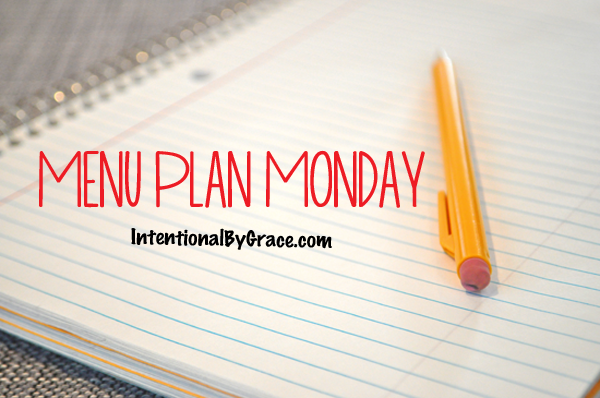 I think your daily plan will work perfect to keep us ready for Kinder and maybe start working on some Kinder skills and keep us out from in front of a screen all day every day. And I am loving the idea of incorporating a daily Bible lesson with my duaghter. Thank you for the inspiration and guidance.